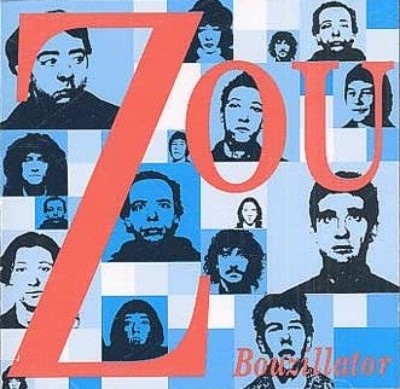 Zou, not to be confused with Zao, nor with an earlier Zou, is another excellent French jazz-rock band on Musea Parallele, Musea's side label for bands stylistically different from their "mainstream" releases. Zou is a trio of musicians who play electronics, sax, bass, and drums. For Bouzillator they are joined by a guest guitarist. The first four songs Zou recorded live at the IV.ITIM-Festival "Cellophonics and Strings" on 9 October 1994. They recorded the remaining songs in October 1992 and remixed them in February 1995. Zou's music covers a lot of avant-garde jazz territory. Their music is an amalgam of Coltrane, Embryo, Soft Machine, Curlew, Moving Gelatine Plates, Zao, Shub Niggurath, Magma, etc. and fans of these artists are sure to enjoy this release. The central element to Zou's music is Daniel Brothier's distinctive saxophone playing. On some songs Brothier may be improvising with wild abandon while on others he produces poetry of lyric beauty. Occasionally something magic happens and Zou produce energetic progressive flights of fancy similar to Djam Karet's Reflections from the Firepool. All-in-all a wonderful new release for those high brows among us.